We welcome new patients in our wellness center and provide a high quality of medical care. Very often, we find that people have never heard of a center like ours and want to know how it is different from visiting a traditional doctor and what services they can expect to receive. Naturally, we welcome questions and are happy to provide detailed answers. The information below should be used as a resource only because we can answer very specific questions over the phone or in person. Our approach to healthcare is slightly different from a traditional physician. We help patients remain in good health and address issues before they create a major health problem. Patients typically visit a general practitioner when they feel terrible and are already very sick. It is wise to schedule a physical once a year. This makes it possible for a physician to identify any potential problems before they become something serious. 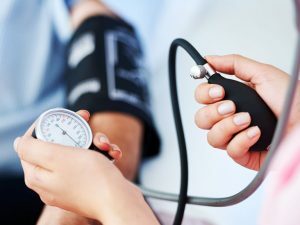 High blood pressure, for example, can lead to problems like heart disease. When it is detected early on, high blood pressure can be treated so that heart disease does not become a reality. This is true for many areas of the body and our goal is to try to identify the causes of problems before our patients do so that we can cut them off at the pass. What a person eats directly impacts overall physical health. When not enough nutrition is being put into the body, it will respond by being sluggish and feeling constant fatigue. 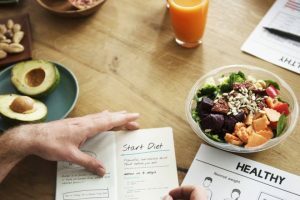 Without the right nutrition, it is also more likely that someone will fall ill. Our goal is to help patients to identify what they can do to eat a healthy and well-balanced diet that is nutrient dense and able to support the key functions of the body. Our assistance can also be used by patients who are looking to lose weight. There is a time and a place for pharmaceuticals but in our opinion, that solution is used far too often. It is our belief that patients benefit far more from various alternative treatments and therapies that are designed to help the body remain in optimal health. Medication should be used as a last resort instead of as a go-to. This makes it possible for us to help patients who are suffering from all types of physical and mental health problems. By recommending treatment options that are non-invasive and healthy, many patients improve the way that they feel and behave on a regular basis without needing a prescription. As a wellness center, we still treat patients who have fallen ill and work to help them recover as quickly as possible. Learn more about the solutions and treatments offered in our wellness center by scheduling an appointment today.